This interpretation was recorded live and in one take using smartphone technology and edited in post. 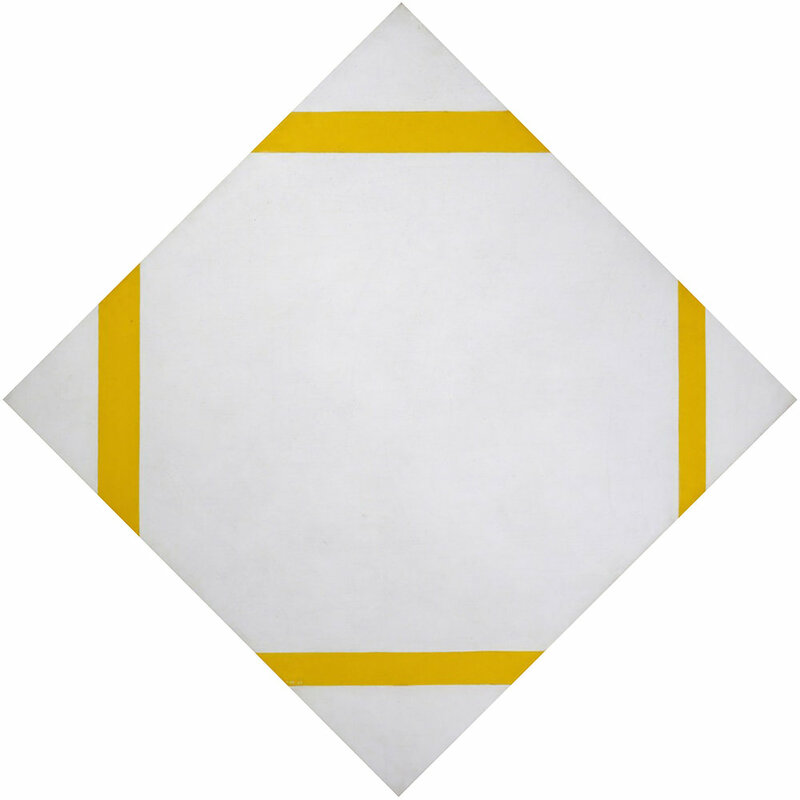 The work references Gestalt psychology, in which the whole is considered first before its parts, as well as Doesburg and Mondrian’s art movement, De Stijl, in which simplicity and harmony are achieved through the use of primary colours, rectangular forms, and vertical and horizontal straight lines. This interpretation builds on these Gestaltian sensibilities, creating a methodology or set of rules to interpret the painting as a graphic score; considering each structural level, vertical and horizontal line, colour, and foreground & background relationship as intrinsic to the overall dynamic tension of the painting. Using processed vocals and stretched, sequenced tones, this interpretation observes the positive and negative space of the original painting and unifies its multiple levels together to draw attention to the work’s underlying perceptual patterns. The yellow strips are represented by four vocal tones that change in pitch according to the size and width of the stripe. The grey is represented by continual, stretched out textures and spatialized into five quadrants with decreased gain. The overall composition is a blend of foreground and background.